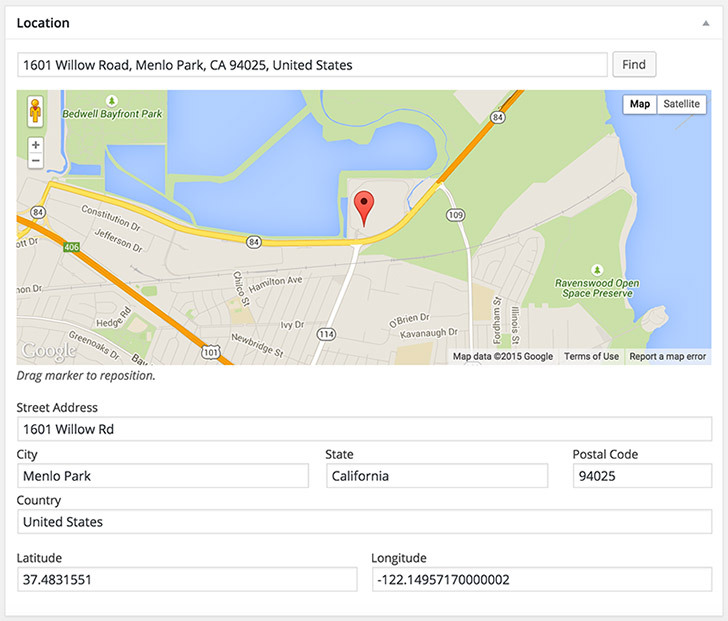 The Locations add-on allows you to add schema.org markups for locations and display the location in a Google map on your website, the add-on inserts a map with location automatically in the content body of your entry, but you also can display the map anywhere on your website via a special shortcode. However, the shortcode allows you to display all locations in one map, which is ideal for the full width display. Once you activate Locations add-on, a new post meta box for location will show in the WordPress Editor page. Here is a screenshot of the Location post meta box. 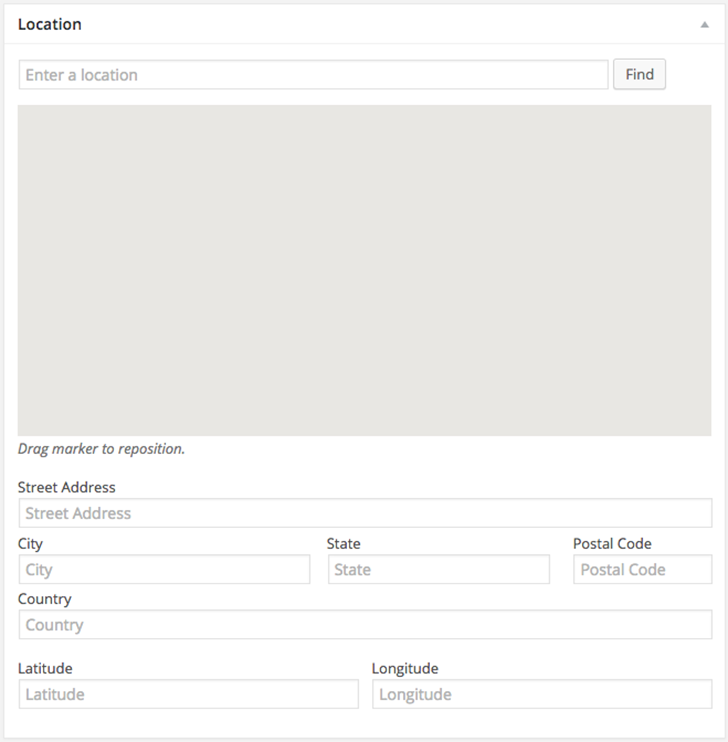 Once you enter a location in the location field and find the address, the location will show on the map, and the address fields, Latitude, and Longitude will start to populate automatically. The Locations add-on has a special shortcode, which allow you to display a Google Map with all locations, you can use it in the WordPress Editor, or in your theme template files. 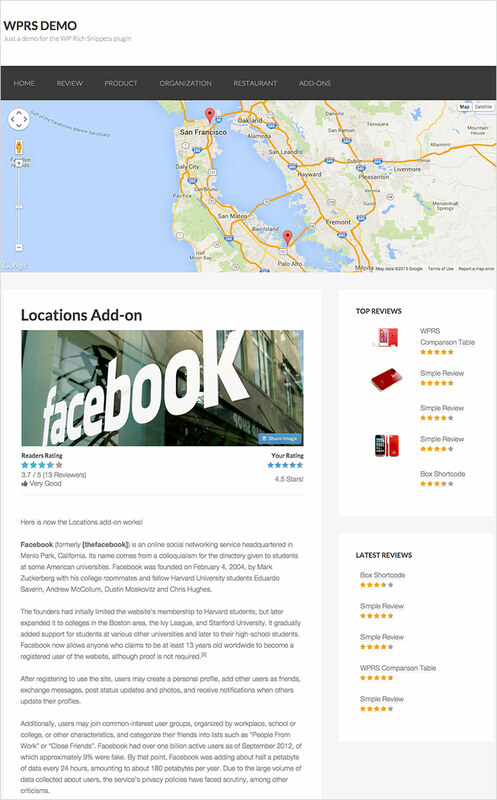 For example, we’ve used the shortcode to display Google Maps below the header on this demo page. When you click on each location on the map, a tooltip with details shall popup. The Locations add-on has a very simple settings page.